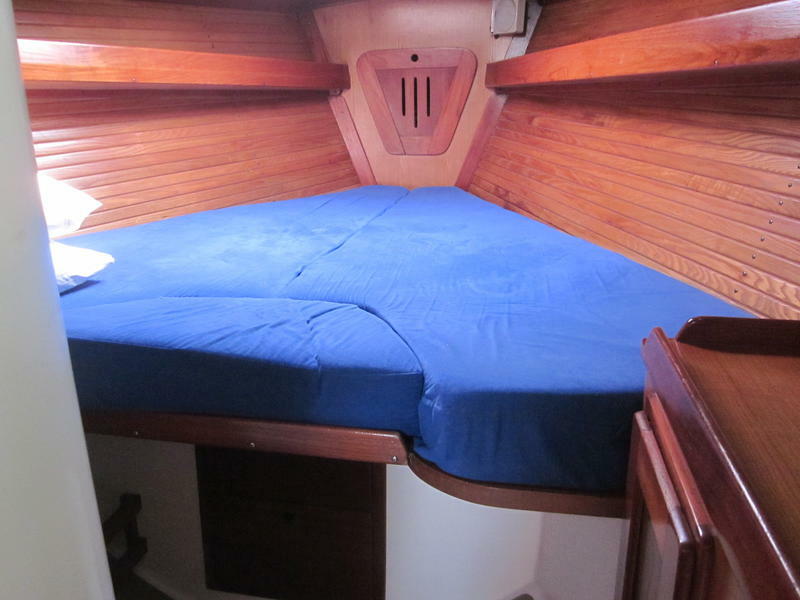 Free Time is a lovely and updated version of the classic Gary Mull designed Freedom Cat Sloop. 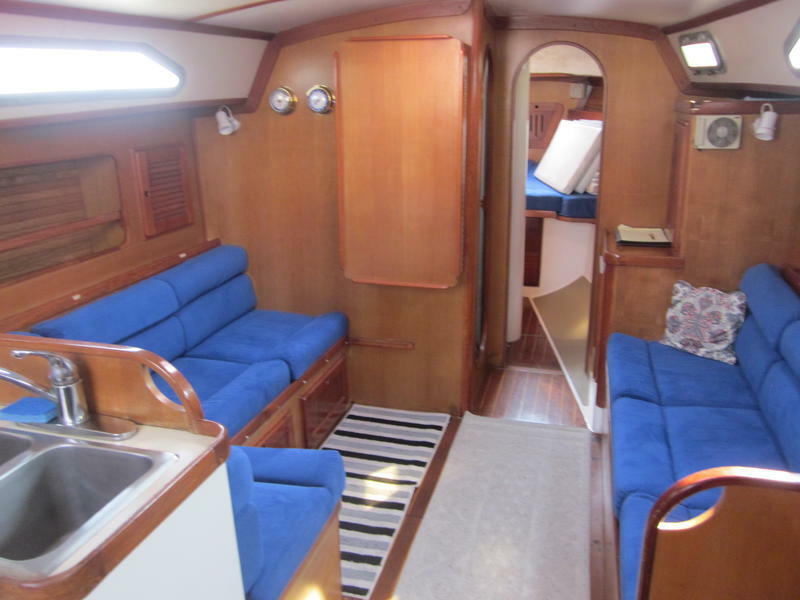 Known to be a stiff, weatherly, and well balanced, this Freedom 38 has been to Venezuela and back proving her ocean cruising capabilities. 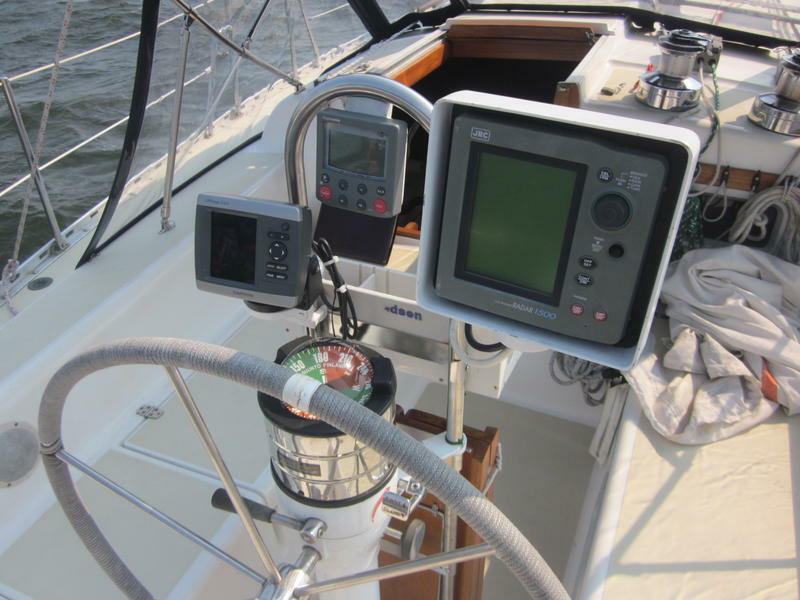 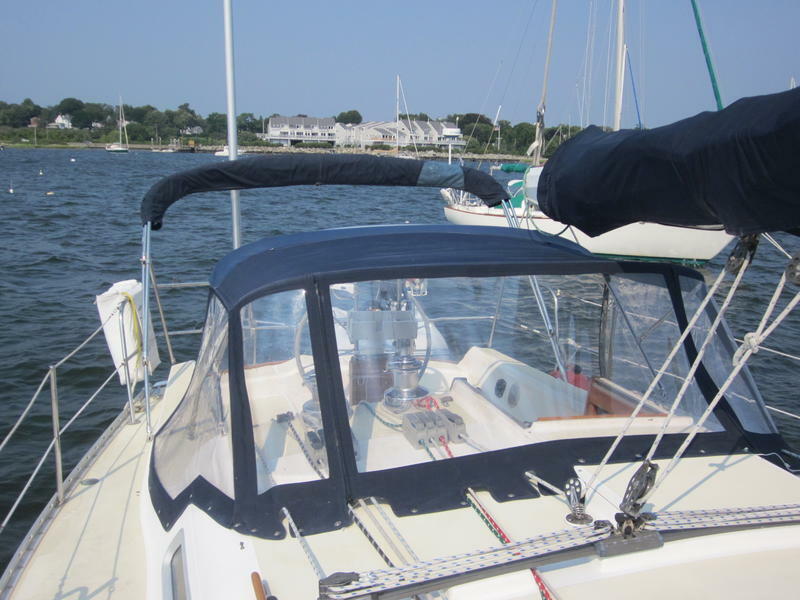 The famous free standing carbon fiber mast and sail plan provides excellent performance with ultimate short-handed ease of sailing: As Freedom Yacht’s founder Garry Hoyt often said, Freedoms are “Swift, Safer, and Simpler.” Free Time was awarded the category A1 Offshore capable plaque by ABS when built. 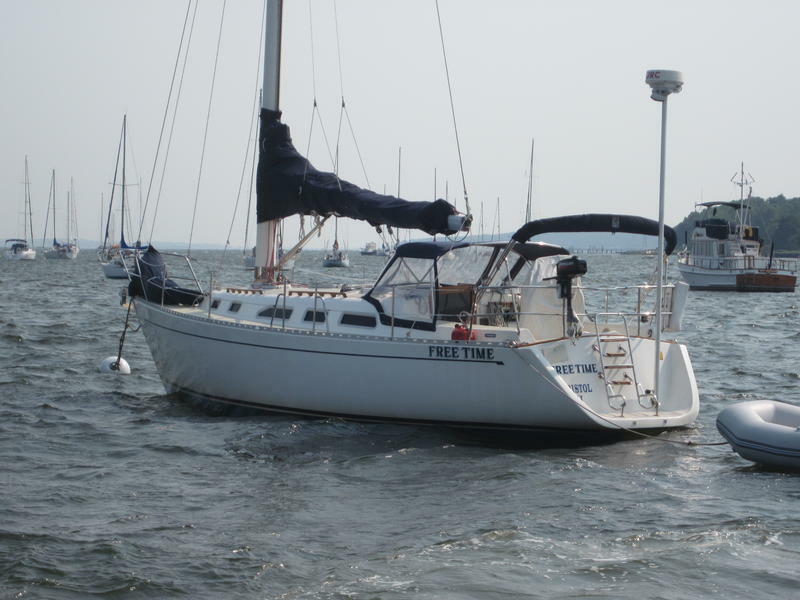 Free Time was owned by a Venezuelan who sailed her from RI and cruised the Caribbean. 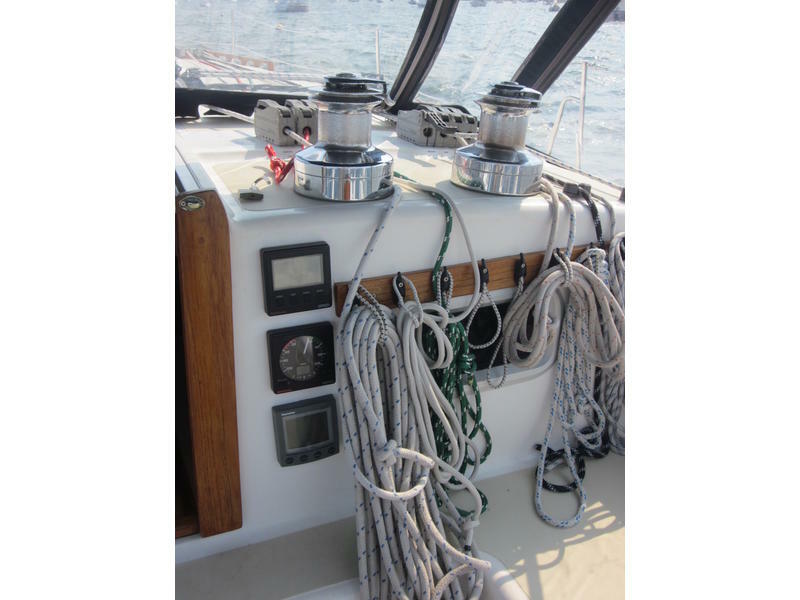 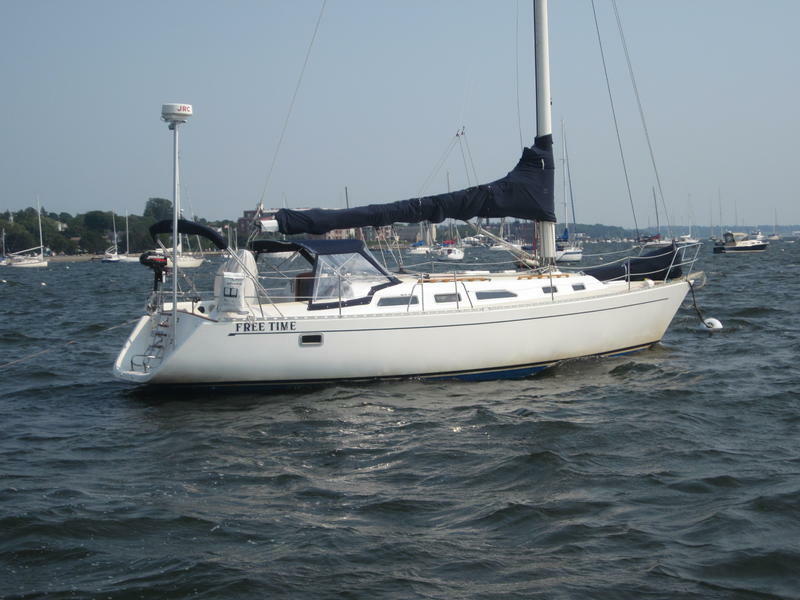 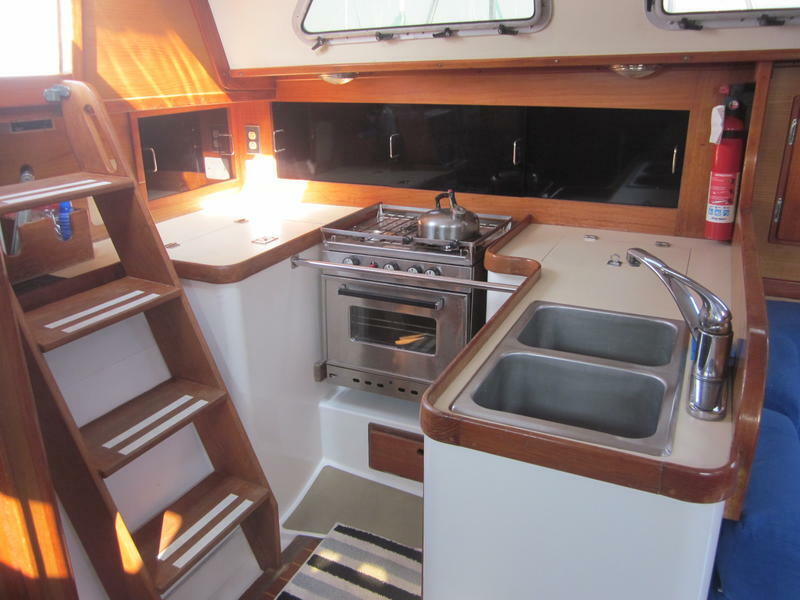 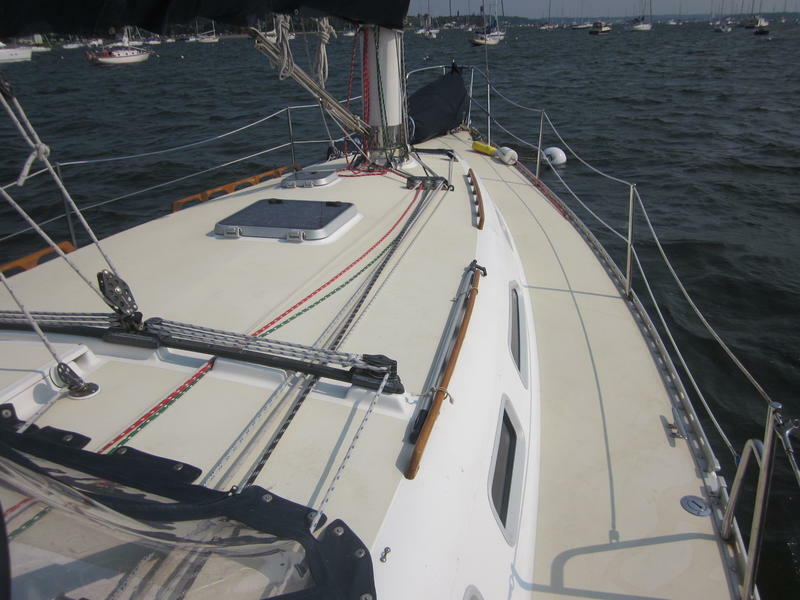 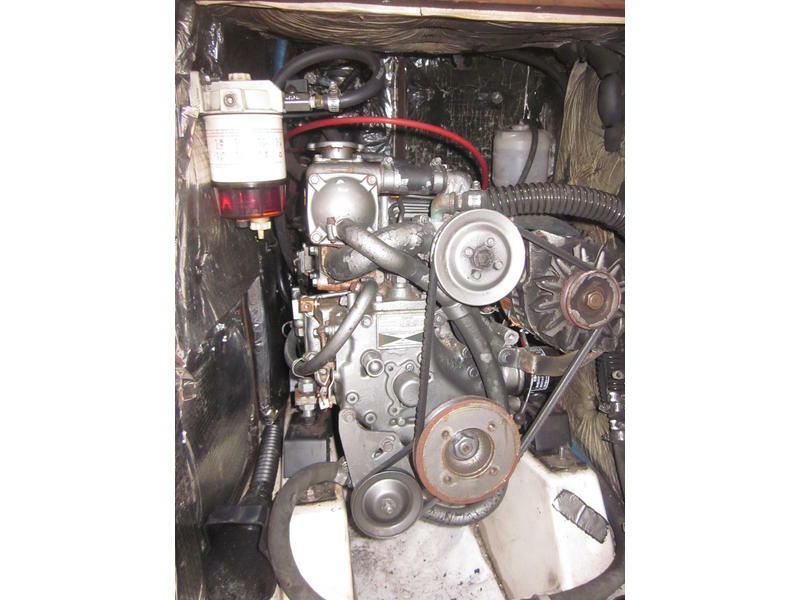 Her current owner has been chartering her in local New England waters since he bought her and every year makes improvements. 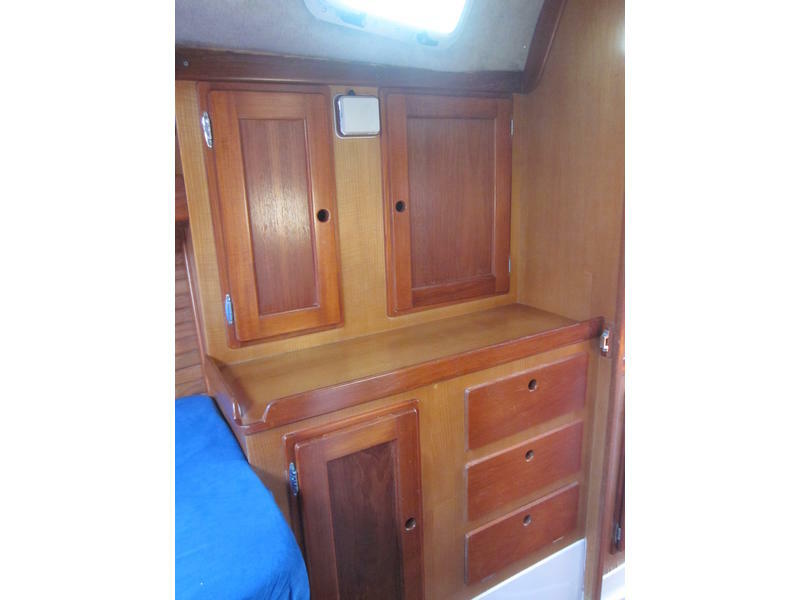 Free Time has a pretty interior with varnished Ash bulkheads and Teak moldings and frames. 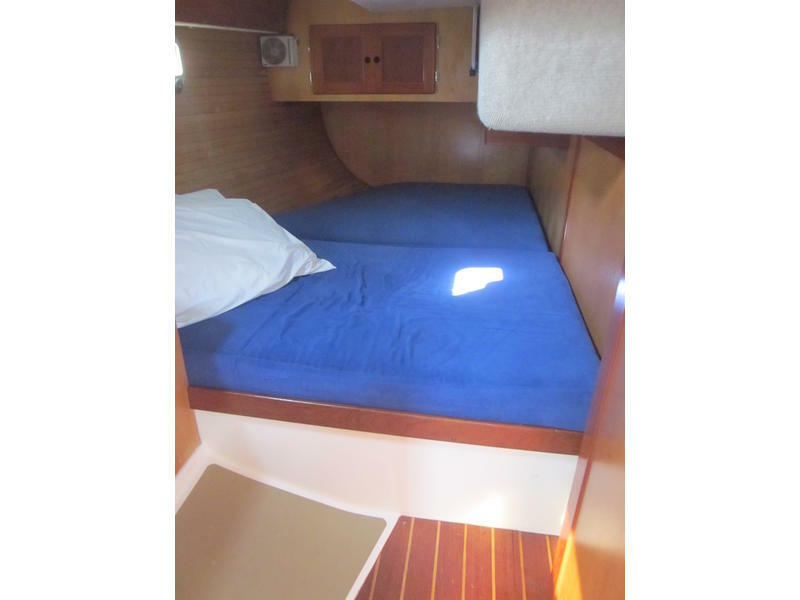 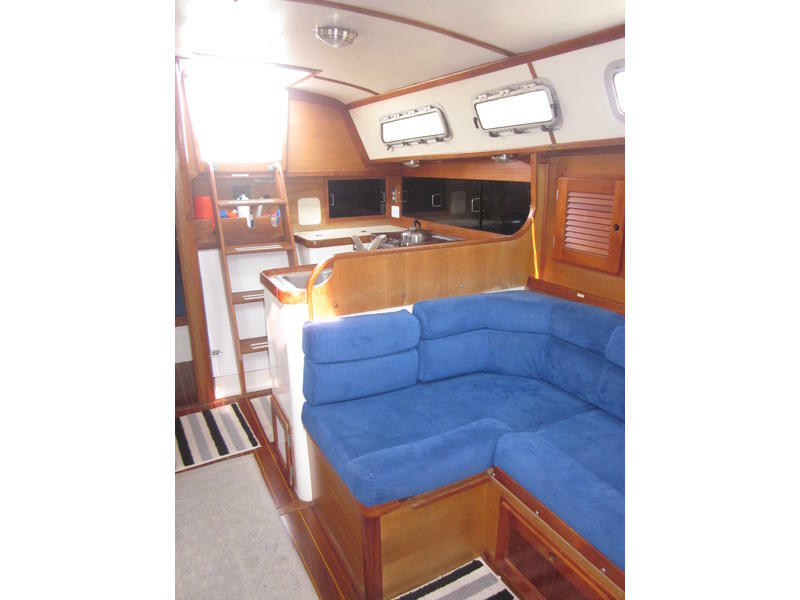 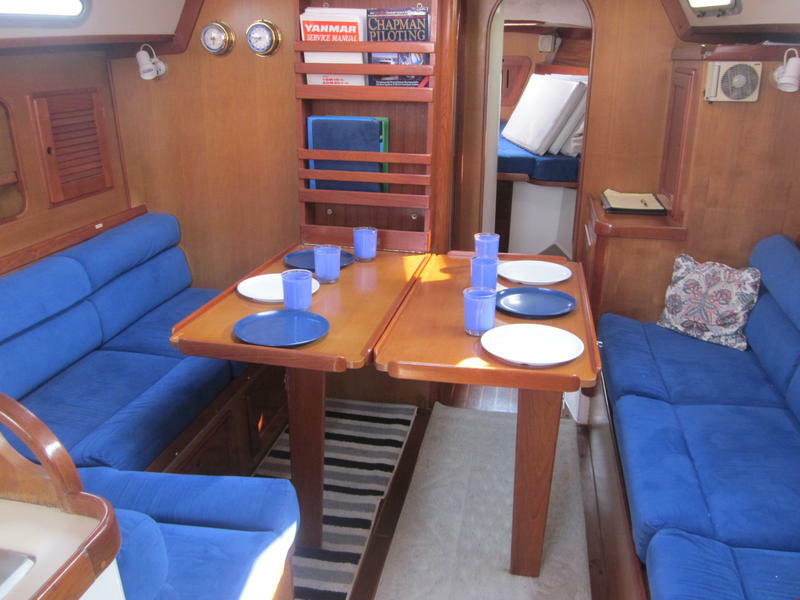 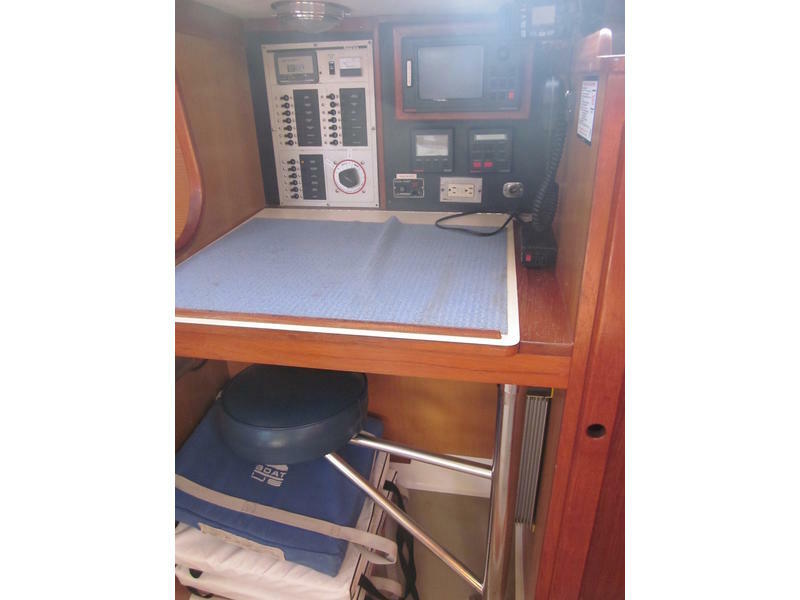 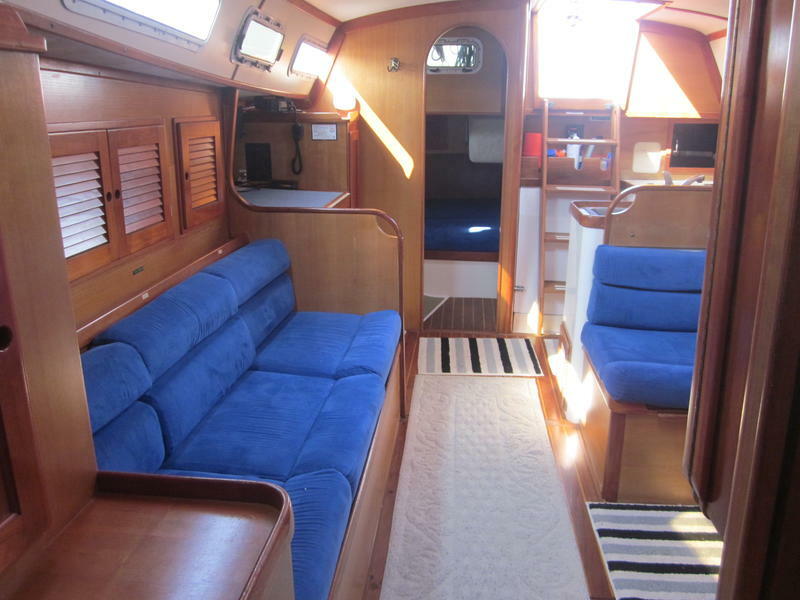 Varnished teak and holly sole adds the traditional touch while white laminate cabin house sides and blue Ultrasuede fabrics make the interior bright and cheerful.